Yesterday, the share market closed in a green sign with a high note. 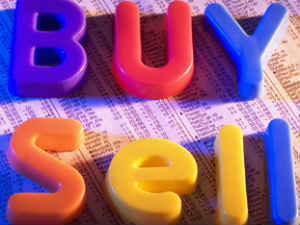 The nifty was closed at 5983.55 up by 16.50 points or 0.28 percent and the sensex was closed at 19704.33 up by 30 points. The Airline company spice jet have ranked number 3 in local share market, the total net loss for the three month to March is narrowed to Rs. 1.86 billion from Rs. 2.49 billion a year. The Asian market showed both the trend up and down. Yesterday Nikkei 225 closed at 14612.45 up 128.47 points and Shanghai Composite at 2288.53 up 12.86 points. Rather than these Straits Times, Hang Seng and Taiwan Index ended with negative sign. The sectors like Bank nifty, Oil and Gas, Consumer good and Bse metals were up where the IT sector, Auto sector and Healthcare were down. At multi commodity exchange the precious metal gold and silver both are trading in a down side today, the base metals are showing the up and down both trends. In the energy products the crude oil seems bullish while the menthe oil seems bearish and traded in a same condition, mentha oil has been followed by the natural gas i.e. natural gas is also looking bearish. Cotton drop by 130 points for the delivery of may month and it is expected that it may trade in a same direction.